The end game is federation of services across government ICT. Stats NZ is providing the template for how government agencies can work together, in true collaborative style. It demonstrated this through the new shared government facilities in the revitalised Christchurch central business district. Stats NZ was the lead agency for delivering the project, and the ICT team stepped up to the challenge by designing an innovative system using a common shared network that will allow the government agencies to work seamlessly in the building with minimal upfront adoption costs. “We had to build for change, it was incredibly empowering,” says Chris Buxton, chief digital officer, at Stats NZ. 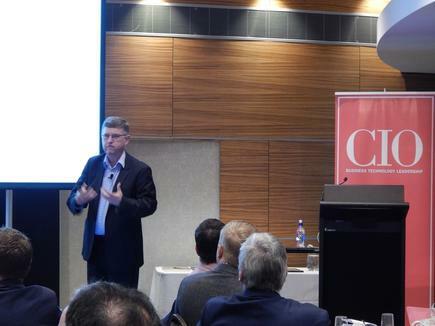 “This is about interoperability across government and how Stats New Zealand is helping with the rebuilding of Christchurch, says Buxton, who spoke of their work on the Christchurch Integrated Government Accommodation (CIGA) at the recent CIO100 breakfast in Wellington. They had to provide facilities for nine government agencies with varied staff headcounts, from two to 240, requiring 450 work points. The common areas were open to all occupants, so they had to optimise meeting rooms and other facilities. The loss of physical boundaries were factored into the security and resourcing allocation, he states. Buxton explains the usual government share model is a co-tenancy model with each tenant having their own segregated areas and supporting ICT. This usually increase costs as each agency has their own cabling solutions, printing and meeting room allocations. He says they wanted to make sure, however, that Statistics New Zealand, did not get into the building and facility management business. 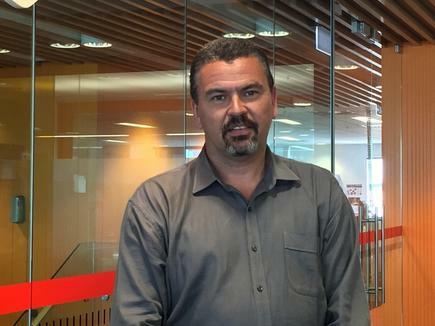 “If any of the tenants have to wait for Stats NZ to come to move their staff between desks, we have failed,” he says. 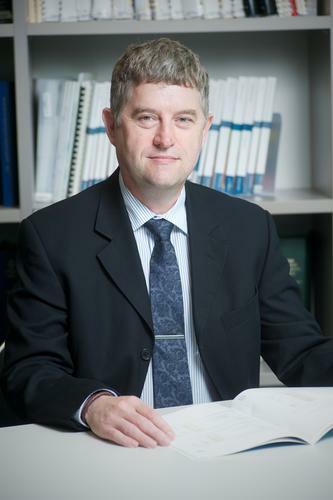 Buxton had implemented a similar model when he was the CIO at the Government Communications Security Bureau, New Zealand’s foreign intelligence agency, so he applied some of the lessons there to the building in Christchurch. The implementing team followed certain design principles. Having a shared model means the agencies retain control of their information and policy environment with no application or information consolidation. The agencies used existing virtual client systems or mobile devices where available, thus requiring minimal new investment. Workpoints are not agency specific, meaning staff can work anywhere in the building. They also minimised risk using a security model that is accredited and in use within the New Zealand intelligence community. The technologies they used to provide ‘building as a service’ included wifi networking for guests and BYOD, agency agnostic workstations, calendaring and booking, meeting room technology and follow me printing. The agencies used GNET a telecommunications as a service (TaaS) government connectivity networks. During the November 14 earthquake centred near Kaikoura, the Stats NZ office in Wellington was among those heavily damaged in the quake. Taking lessons learned from the CIGA building, Statistics New Zealand found a location where they used wireless access points. Everybody who had a mobile device could be operating, as soon as their business systems recovered he says. The new offices were set up and connected to the shared services within days of signing the lease, compared to several weeks in the old system. He says the concept is being rolled out in other government facilities - the Ministry of Business Innovation and Employment recently went live with their Christchurch building. The Justice Precinct housing all justice and emergency services in the central business district in Christchurch; and the Auckland Policy Office, the central government hub in Auckland, are planned for later in the year. The end game, he concludes, is federation of services across government ICT. 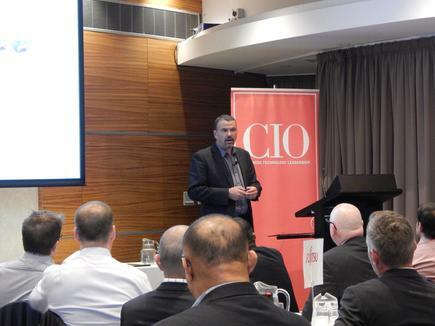 Chris Buxton of Statistics NZ at the CIO100 event in Wellington. Ed Overy, CIO at KiwiRail, explains the organisation is nine years old but 152 years old as an industry. KiwiRail was formed in 2008 but it used to be TranzRail and New Zealand Railways, and they inherited a lot of businesses that made separate decisions. Today, the state owned enterprise has 3400 employees with massive fixed infrastructure. IT at KiwiRail was a microcosm of the large organisation, it was massively asset intensive, and with fixed costs, he adds. When he came in three years ago, Overy says he inherited a traditional IT ICT delivery model. “We had an insourced shop of 162 employees,” he states. He says the organisation was good at executing project delivery for a bridge, a culvert or a railway. But he says it could do better at executing technology to make the business change. In 2015, their then new CEO Peter Reidy challenged him to change the way the way IT delivers services to the business. The goal was not just to reduce cost but to change the model of the variable costs. It will use the IT organisation as a test case for changing the way he might change the rest of the business. “The cost of doing nothing was far, far too high,” says Overy. “We to keep working and to work fast, in driving the change,” he adds. Overy met with Tim Miles, who was then CEO of Spark Digital, who was also leading the company’s transformation programme. We are both networked businesses, both massively asset intensive, says Overy. We worked with them and we learned what they have done in the transformation. The discussion led to working with Spark for an outsourcing model infrastructure and service management. Overy and his team wanted to know how much IT costs at KiwiRail. So they took a year’s worth of transactions, and noted every dollar that was allocated to an activity. They presented the proposal of Spark to the board at KiwiRail. The board requested a third-party review of the business case to validate it and then they went to contract negotiation with Spark in November 2015. Since February last year, Spark has been providing the managed services and infrastructure operations for KiwiRail. By the end of last year, the team had completed the migration of 700-plus servers, two petabytes of storage and more than 200 business applications. The 162 staff went down to 50, with 22 transferring to Spark Digital. Over says the applications team and architecture parts of the IT function were retained, because they held the critical IP for KiwiRail. Consistent and constant communications are important, he says on some of the key lessons he can share on leading a business transformation. Overy says he had a conversation with every single one of the staff affected. Today, he says, service management has matured. We run a tighter project portfolio that is business led and prioritised with the CFO, says Overy. Ed Overy of KiwiRail at the CIO100 event in Wellington.